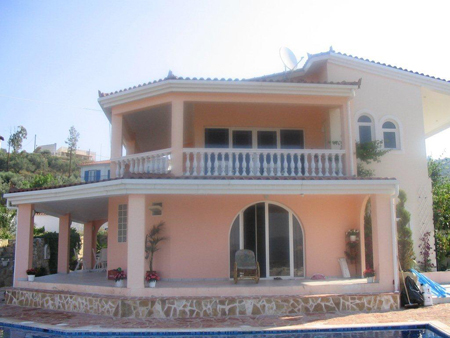 opportunity to invest - perfect blue sky - pure clean beaches - crystal clear waters - year round sunshine. Ideal for tourist use - permits to build hotel/s, houses, shops, supermarkets etc. 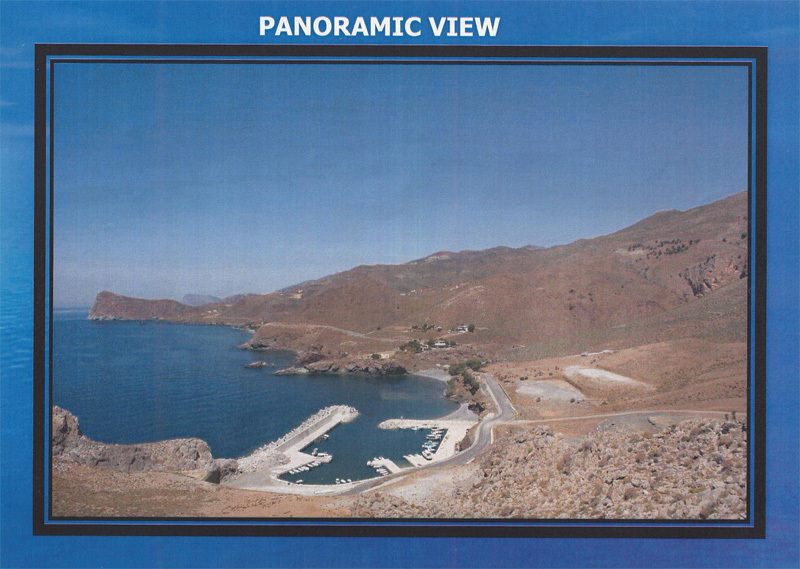 Second Crete airport being built 35 kms away. Marina. Dieses Grundstueck ist fuer jede Art von Bauerlaubnis geeignet. Alles biologisch rein - herrliche Sicht uebers ganze Meer. Ein Exclusiv - Investment fuer jede Art. Bitte klicken Sie auf das Foto fuer mehr Fotos. Gerne sind wir fuer Sie da. Bei Interesse koennen wir Ihnen Bauplaene schicken, welche natuerlich geaendert werden koennen. 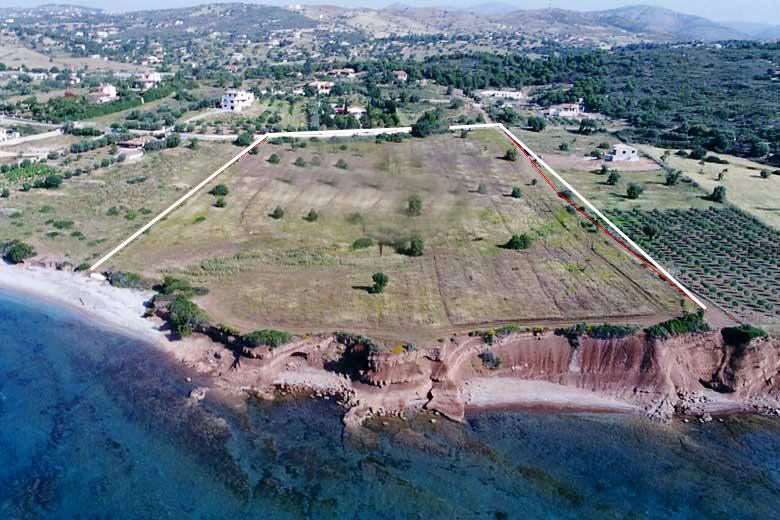 10.000 sqm land in best location of Porto Heli on the sea. 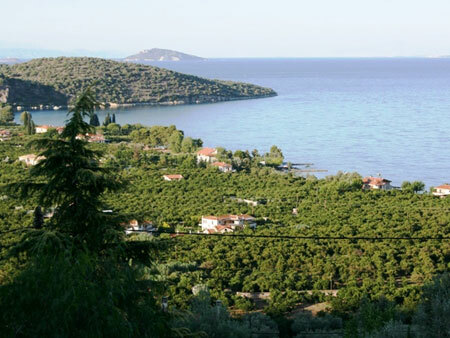 33.000 sqm land in best location of Porto Heli on the sea with planning permission for own marina. 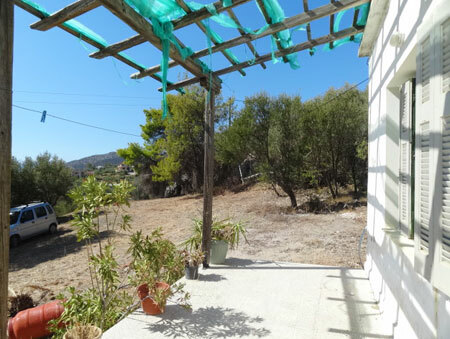 Easily obtainable 100 stremmata (10 hectares) close by for use as a golf club/horse riding stables etc. 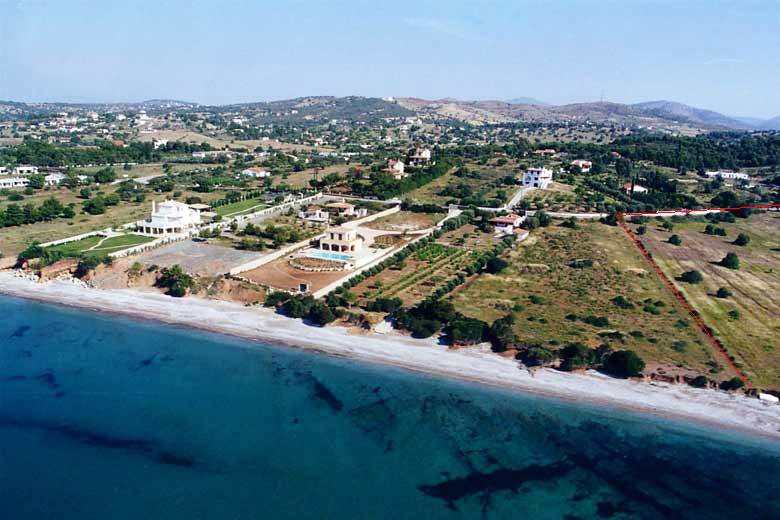 Close to Aman Resort - Niki Beach - large Golf course - under construction. The owner is an Dipl. Ing. building construction expert and would be willing to help or sell and withdraw. Anbei das Exposé dieses wunderschönen Grundstücks mit Fotos! Inseln Spetzes - Hydra 5 min. - Poros - sowie Pireus, oder ueber Korinth die Autobahn. Nah Aman Resort - Niki Beach - großer Golfplatz im Fertigwerden. all legal - all the papers from forestry commission etc. free to build Schools, Sport Center - School, for Student Camps - Hotel - Hospital - Clinic - REHA - other therapies - retirement home or nice Villas. 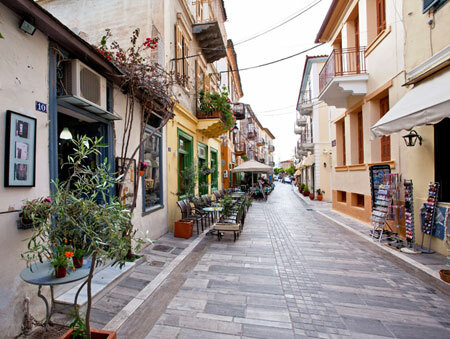 Mild, dry climate - water - power - large street front - from Athens Center about 35 min. to Penteli, Athens Airport 20 min. 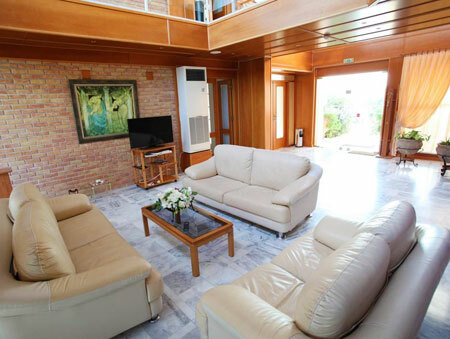 3 STAR HOTEL - LUXURY - QUALITY - ELEGANCE: The Hotel has 21 spacious and fully equipped apartments - 40sqm each and studios, most have great sea views, also a large SWIMMING POOL with panoramic views to the lovely, long, organised sandy beach and the whole of the village - 200 m to the beach. Crystal clear sea in sheltered bay and then open sea until Crete. The pool is equipped with sun loungers and umbrellas, outdoor jacuzzi, bar and private parking is available for 25 cars. 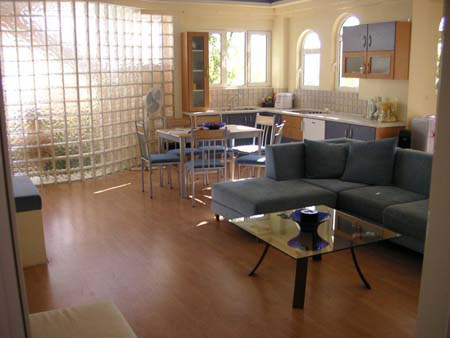 Breakfast room and a short distance from supermarkets, newsagents, bank, post office, shops, restaurant, bars and cafes. Ideal for families and groups of friends. 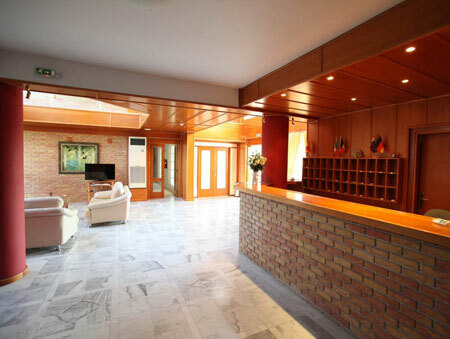 This Hotel can be used for medical Center - spa, special therapies or long terms vacations. Private University, students, seminars. 30 min. from modern specialised Hospitals. 10 min. 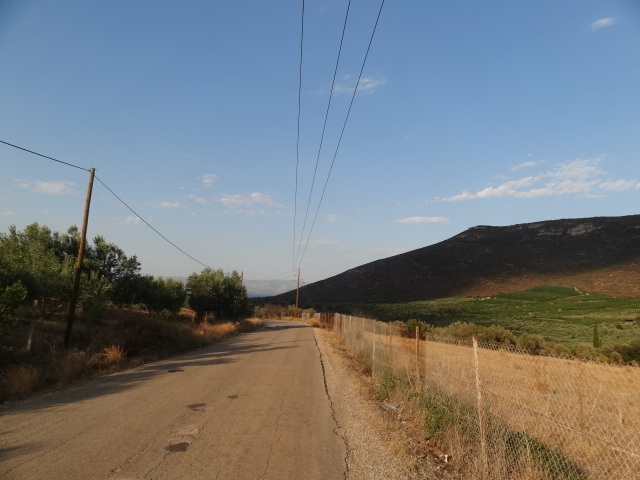 to Nafplion - 25 mins to Mycenae, 20 mins to Epidavros, where festivals are held throughout the year and plays are performed through the Summer - Greeks and foeign tourists enyoing this area very much. 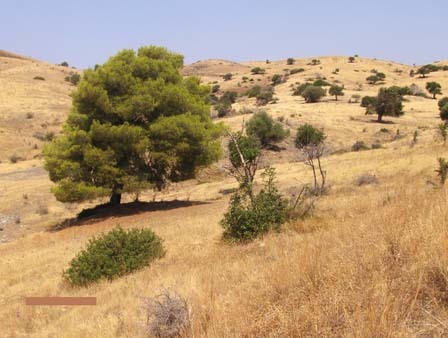 Dry climate. 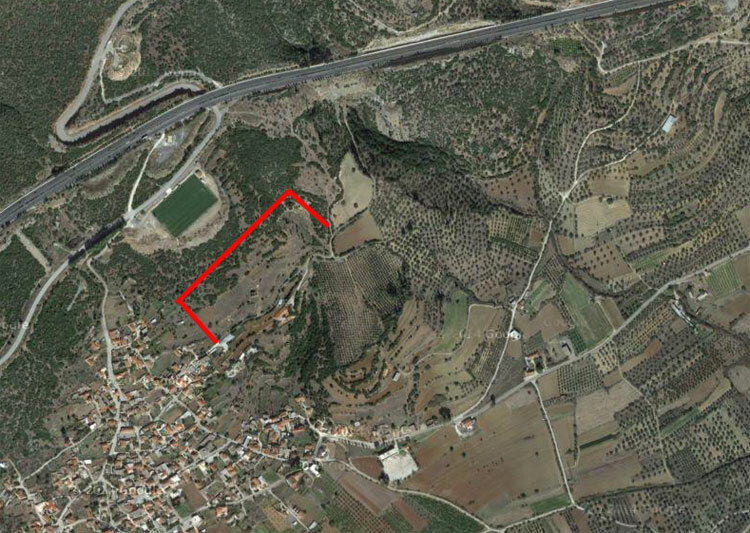 Possibility to take another 1.000m2 land next to the Hotel - can be built on - the whole location is within the village boundary plan. Quiet neighborhood. From Athens 2h (motorway). 2h Patras. 3 Star HOTEL - LUXUS - QUALITAET - ELEGANCE: Das Hotel hat 21 exellent voll moeblierte Appartments 40 m2 gross + Studios. Fast alle haben vollen Meerblick - GROSSES SCHWIMMBECKEN mit panoramischerSicht zum herrlich gepflegtem Sandstrand und Dorf. 200 m zum Strand, kristallklares Meer mit offenem Meer bis Kreta. Geschaefte - Restaurants - Bars - Cafes. Ideal fuer Familien und Gruppen von Freunden. Das Hotel kann auch als med.Clinic Center - spa spezielle Therapien oder Langzeitferien - private Universitaet - Studentenseminare genutzt werden. In naechster Naehe 20 - 30 km Nafplion/Argos je 1 modernes spezialisiertes Krankenhaus. Moeglichkeit zum Zukauf von 1.000 m2 Nachbargrund - beide Grundstuecke im Stadtplan und koennen voll bebaut werden. Gute und leise Nachbarschaft. Athen 2 Std./Patras 2 Std. Bitte kontaktieren Sie uns fuer mehr Informationen. 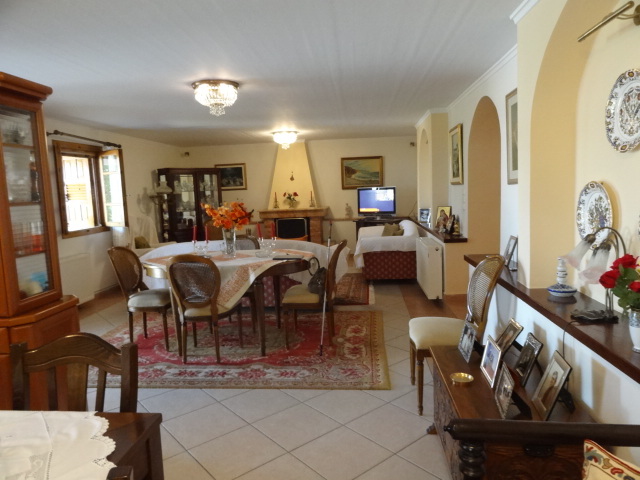 190sqm Cafehaus/Cafeteria - 1st floor 167sqm - 2nd floor 162sqm penthouse 75sqm, one of the best houses in the old town. It is full of clients and meetings all day long. It can also be used as a pension or hotel. It is available immediately. Rented. 1190τ.μ. Καφετέρια- 1ος όροφος 167 τ.μ. 2ος όροφος 162 τ.μ. πατάρι 75 τ.μ., ένα από τα ομορφότερα κτίσματα της παλιάς πόλης. Η καφετέρια είναι γεμάτη με πελάτες όλη την ημέρα. Μπορεί να γίνει πανσιόν η ξενοδοχείο. Είναι ελεύθερο άμεσα. Το οίκημα είναι με ενοίκιο. 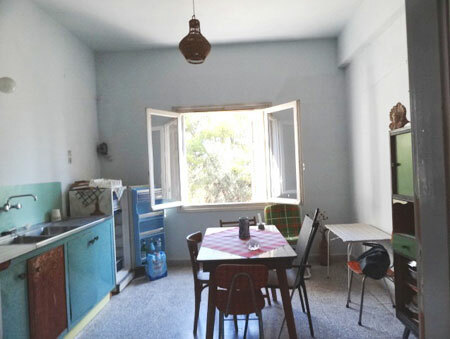 we can offer 3 different Hotels also Breakfast Hotel - 1 stone house with sea view to Bourzi - Cafehouse/Cafeteria 190sqm in business-street - 1st floor 200sqm of large house for offices or shops. 100 ha Bio Land - von ueberall volle Meersicht fuer alles zu bebauen: geschaeftlich – privat – Schulen – Ferienplaetze – Villen, Sport- anlagen wie Tennis etc. – Helikopter – Landeplatz – solar - fotovoltaika - 5 Min. 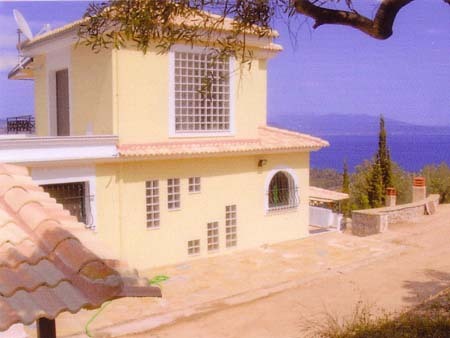 von Porto Heli – Marina, 3 min. zum Strand, Lage: Ost - Sued – West, 15 min. 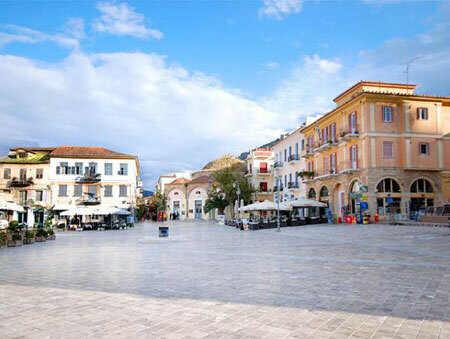 Bootsfahrt zur Insel Spetses + Hydra, sowie nah zu Ermioni / Nafplion 1.5h / Athener Flughafen 2 h / Patras Hafen 2 h / Beste Nachbarschaft !! Bitte klicken Sie auf die Foto – kommen mehr. 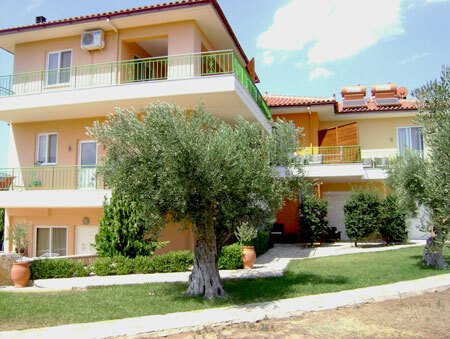 Apartment hotel with 23 apartments completely fitted in 780 sqm land, always renewed, in a picturesque town, 100 m on foot from the beautiful an clean beach, East South West, large elevator, automatic A/ C in all the apartments (the investment cost 10,000 € the best of the best), large parking place, on ground floor there is a 200 sqm completely separated space which can be used either with the apartment hotel or extra, suitable for gym, shop, playroom, etc, also two shops each one by each own, very modern, all apartments have balconies with beautiful view. By the reception there is bar –café where you can have breakfast or coffee. 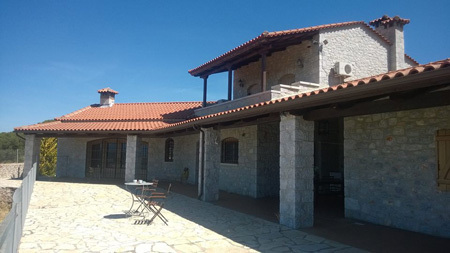 It is open and full for 20 years now, from May until October but it can be easily open the whole year and organized also for sport club, retire places or meetings. The tourists are coming for the unique Monastery which is very close and has visitors from the whole world. Close to a harbor for your own yacht. There is also a Marine Sailing Club with a high seas school, but also closed for young children. The Club operates all year round and has its own boats for young students (optuniste & fazer). 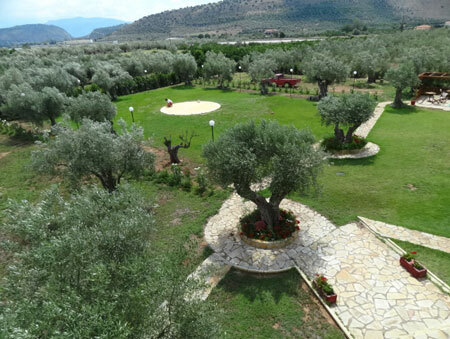 It is surrounded by olive groves and has a dry and healthy climate. 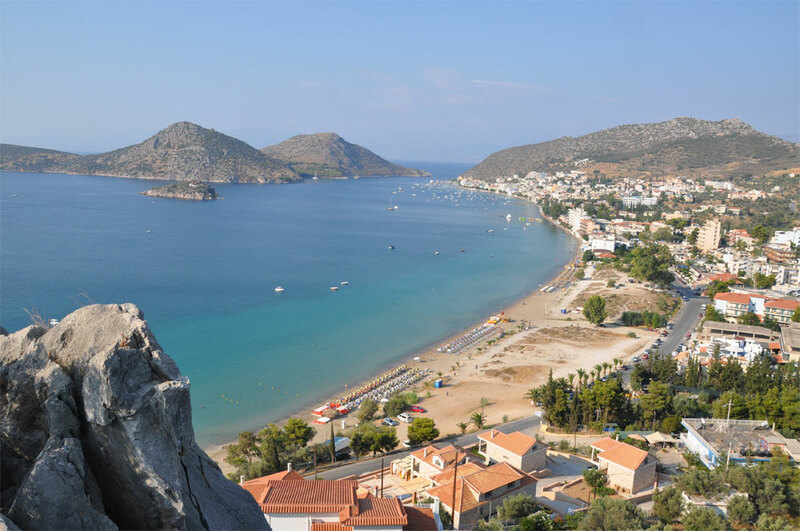 Only 30 km from Nafplio which has many archaeological places and all through the year festivals and athletic activities (Marathon, Triathlon etc) – many different beaches, Leonidio 50 km, Athens Airport 160 km. Apartment Hotel mit 23 Apartments voll eingerichtet in 780 m2 Grund, staendig erneuert, ein Bild von einer Stadt. 100 m vom Strand + glasklarem Meer, ost-sued-west, grosser Lift. mit autom. 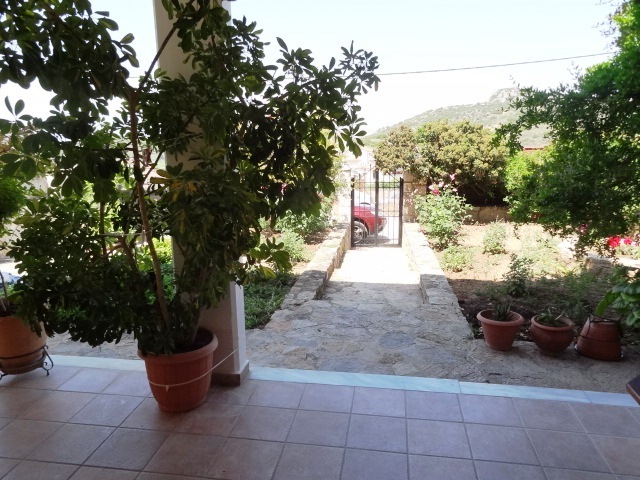 A/C sind alle Apartments angeschlossen ( kostete 10,000 Euro – (Beste vom Bestem) grosser Parkplatz, eben extra eine Flaeche von 200 m2 als Geschaeft/Sportcenter/playroom/meetings etc. oder am Hotel angeschlossen. 2 weitere moderne Geschaeftslokale mit Strassenfront. Alle Apartments haben Balkone + wunderschoene Sicht. Bei der Rezeption ist eine Bar wo man auf Wund Fruehstueck oder Kaffee einnehmen kann. Das Hotel ist offen und voll jetzt 20 Jahre - vom Mai – Oktober – koennte leicht das ganze Jahr hindurch geoeffnet sein als Sportclub/Altersheim/Therapiezentrum/meetings. Die Touristen kommern das ganze Jahr hindurch aus allen Laendern um die Burg –Kloster zu besichtigen. Neben dem Hafen ist genug Platz fuer Ihre eigene Yacht. Es gibt auch einen Marine-Sailing-Club mit einer Hochseeschule. Der Club ist das ganze Jahr hindurch geoeffnet hat eigene Boote fuer junge Studenten und Kinder. Ausgedehnte Straende und kristallklares Meer machen die Stadt zu einem der beten Resorts auf dem Peloponnes. Die Stadt ist von Olivenhain umgeben und hat ein trockenes und gesundes Klima + ein Gesundheitszentrum und mehrere private Praxen mit verschiedenen Behandlungen. Nur 30 km von Nafplion welche viele archeologische Staette hat – und das ganze Jahr hindurch fetivals sowie Sportaktivitaeten (Marathon, Triathlon etc.) – viele verschiedene Straende, Leonidio 50 km, Athener Flughafen 160 km. Ξενοδοχείο με 23 διαμερίσματα πλήρως επιπλωμένα με μπαλκόνι και θέα θάλασσα, μέσα σε 780 τ.μ. οικόπεδο, σε μια γραφική πόλη 100 μέτρα από τη πεντακάθαρη θάλασσα, μεγάλος ανελκυστήρας, αυτόματος κλιματισμός σε όλους τους χώρους ( η επένδυση για τον κλιματισμό κόστισε 10,000 €) μεγάλο παρκινγκ. Στο ισόγειο υπάρχει ξεχωριστός πολύ φωτεινός χώρος 200 τ.μ. ο οποίος μπορεί να χρησιμοποιηθεί και ανεξάρτητα από το ξενοδοχείο, κατάλληλος για γυμναστήριο, κατάστημα, παιδότοπος κλπ. Υπάρχουν επίσης 2 μοντέρνα ξεχωριστά καταστήματα. Δίπλα στη ρεσεψιόν υπάρχει καφέ- μπαρ όπου μπορεί να χρησιμοποιηθεί για χώρος πρωινού. 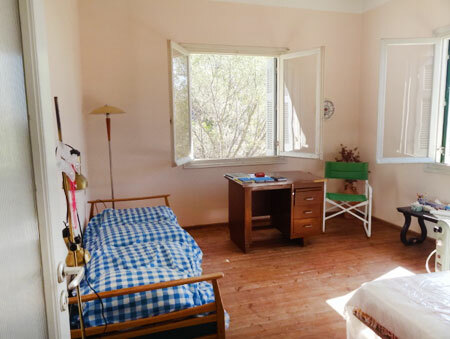 Είναι ανοικτό και γεμάτο εδώ και 20 χρόνια, από τον Μάιο μέχρι τον Οκτώβριο αλλά μπορεί πολύ εύκολα να λειτουργεί και όλο το χρόνο. 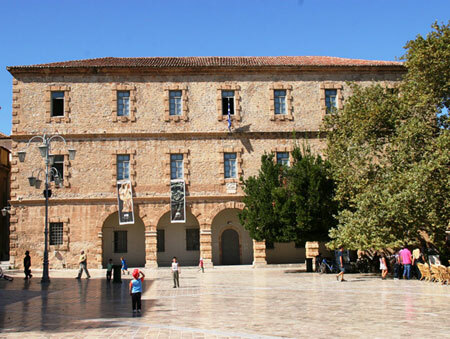 Yπάρχει επίσης Nαυτικός Iστιοπλοϊκός Όμιλος με σχολή ανοιχτής θάλασσας, αλλά και κλειστής για μικρά παιδιά. O Όμιλος λειτουργεί όλο το χρόνο και διαθέτει δικά του σκάφη για τους μικρούς μαθητές (optuniste & fazer). To φυσικό λιμανάκι, προφυλαγμένο από τους καιρούς, φιλοξενεί ιστιοφόρα, αλλά και ψαροκάικα. Εκδρομικό καραβάκι εκτελεί ενδιαφέρουσες εκδρομές στον Aργοσαρωνικό. Ξηρό και υγιεινό κλίμα διότι ο χώρος περιβάλλεται από ελαιώνες. Μόλις 30 χμ από το Ναύπλιο, το οποίο έχει πάρα πολλούς αρχαιολογικούς χώρους κοντά και όλη τη χρονιά γίνονται καλλιτεχνικές εκδηλώσεις, φεστιβάλ καθώς και αθλητικές εκδηλώσεις. Λεωνίδιο 50 χμ, Αεροδρόμιο Αθήνα 160 χμ. Many beaches nearby. 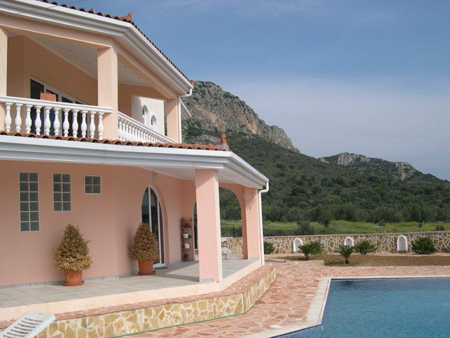 Nafplion 20 min., bus to Athens hourly, 2 h to Athens Airport – also close to Korinth train to Athens 1 Std. 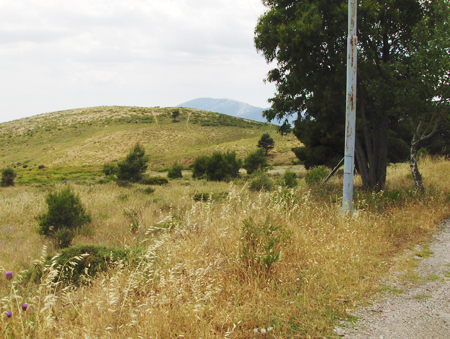 - to Patras 2 h. There are many archaeolgical monuments close by. 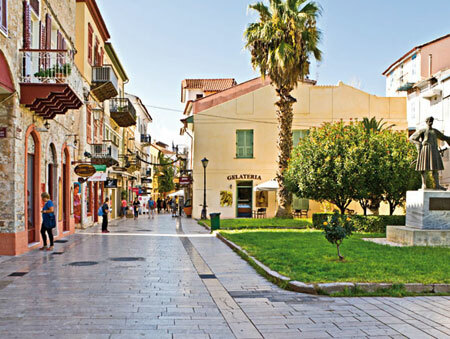 There are festivals in Nafplion all year round. Click on the photo to see more details – ideally situated for all year round living. Hotel 3 *** right on the beach very chic with large swimming pool, 21 rooms of 20m2 each, 4 suites of 40m2 each, all with balconies and sea view. 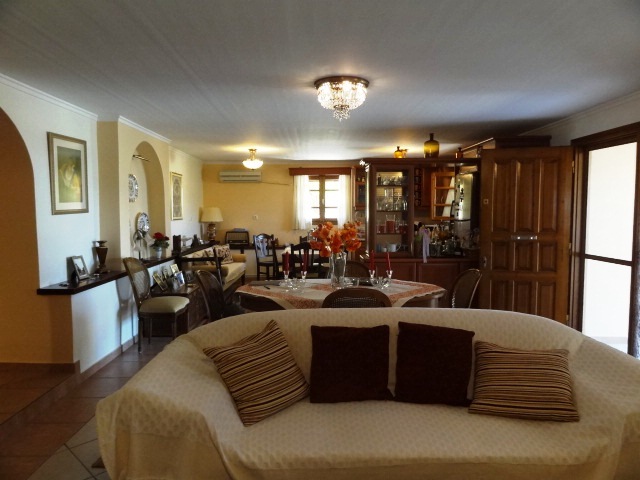 3 bars, restaurant with large, modern kitchen & top class equipment. 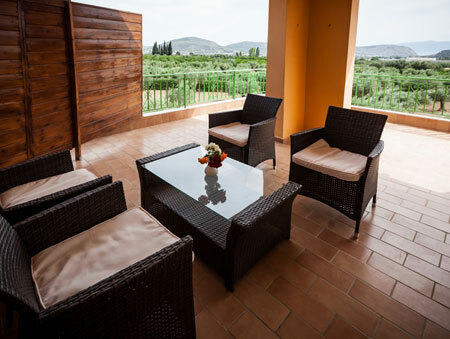 A large, rooftop terrace of 3.500m2 can be used either to build more rooms/suites or as is as a roof garden or bar. Safe parking for many cars. Quality furnishings & tasteful decor throughout. Opportunity to expand the hotel to neighborhood land. 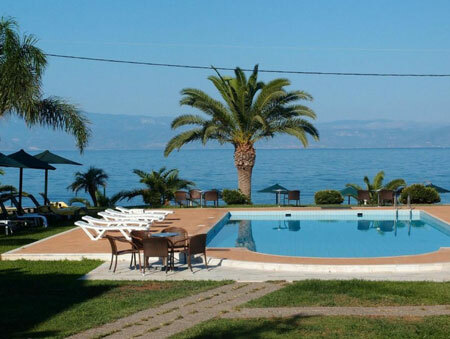 A ready business, this hotel is fully booked through the summer months, season can be extended to all year round. 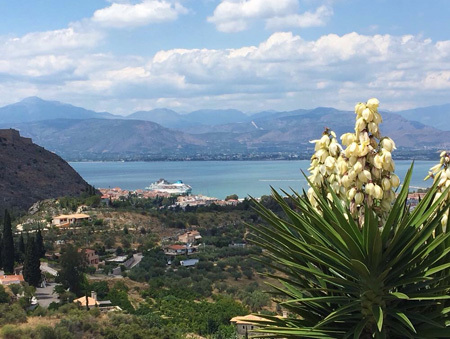 Nafplion – Peloponnes: Hotel 3 *** direkt am Meer – chic mit sehr grossem Schwimmingpool, 21 Zimmer 20 m2, 4 Suiten 40 m2, alle mit Balkon und Meersicht, 3 Bars, Restaurant, sehr moderner Kueche mit bester Ausstattung. Dachterrasse 3.500 m2 – fuer mehr Zimmer – Suites – Roofgarden oder Bar. Viele ueberdachte Parkplaetze. Das ganze Hotel ist mit bester Qualitaet moebliert. Moeglichkeit fuer Landzukauf von den Nachbarn um zu vergroessern. Voll in den Sommermonaten – kann jedoch das ganze Jahr ausgebucht sein. Ναύπλιο – Πελοπόννησος: Ξενοδοχείο 3*** πάνω στη θάλασσα πολύ σικ με μεγάλη πισίνα, 21 δωμάτια 20m2, 4 σουίτες 40m2 , όλα με μπαλκόνι με θέα στη θάλασσα. 3 μπαρ, ρεστοράν, μεγάλη μοντέρνα κουζίνα με τον καλύτερο εξοπλισμό, ταράτσα 3.500 m2 η οποία μπορεί να χτιστεί είτε για περισσότερα δωμάτια και σουίτες είτε να χρησιμοποιηθεί ως έχει σαν roof garden ή μπαρ. Πολλές κλειστές θέσεις παρκινγκ. Όλο το ξενοδοχείο είναι επιπλωμένο με πολυτελή έπιπλα και γούστο. Υπάρχει η δυνατότητα να επεκταθεί το ξενοδοχείο χρησιμοποιώντας τα γειτονικά οικόπεδα. Το ξενοδοχείο είναι γεμάτο όλο το καλοκαίρι και μπορεί να δουλέψει όλο το χρόνο. 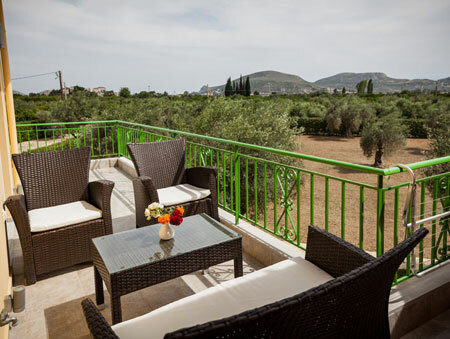 HOTEL in the OLD TOWN of Nafplion with 12 rooms. Business is running well- very clever investment. 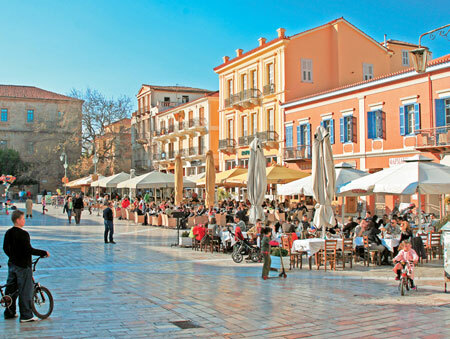 Nafplion’s property market is booming “like never before” according to the latest figures just for your information. Now this hotel is rented. 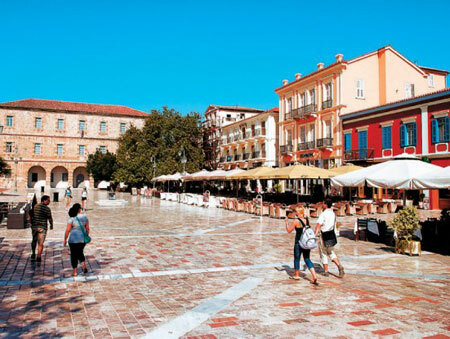 Please note that Nafplio is a cosmopolitan town and attracts tourists all through the year. 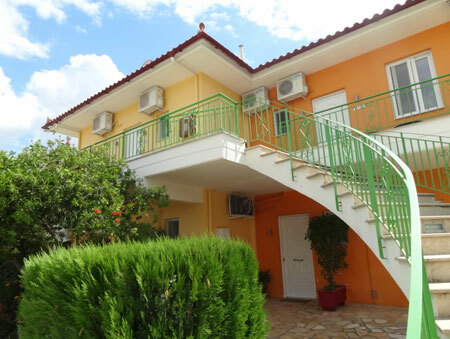 HOTEL in Altstadt Nafplion mit 12 Zimmern. Bitte rufen Sie an, fuer mehr Informationen. Das Hotel ist jetzt vermietet / staendig ausgebucht – das ganze Jahr hindurch. Tourismus 12 Monate im Jahr. Beste Wertanlage…………. ΞΕΝΟΔΟΧΕΙΟ στην ΠΑΛΙΑ ΠΟΛΗ του Ναύπλιου με 12 δωμάτια. Η επιχείρηση δουλεύει πολύ καλά – πολύ έξυπνη επένδυση. Τώρα νοικιάζεται και είναι γεμάτο όλο το χρόνο. 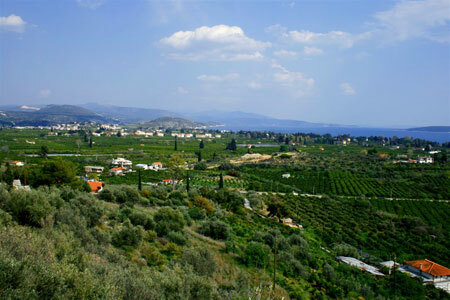 The tourism industry in Greece is co-financed by the EU. EU Programm zum Aufbau fuer Tourismus. 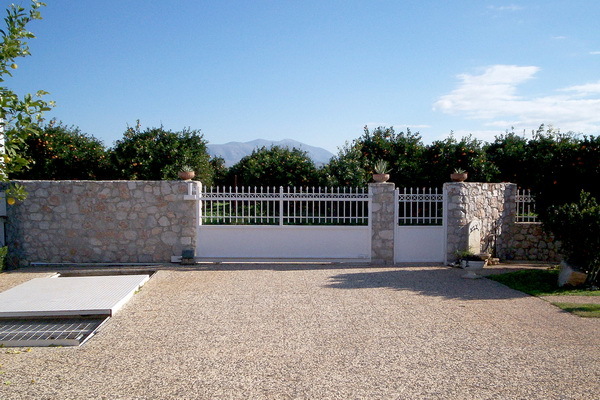 BIG OPPORTUNITY - HOUSE IN NAFPLIO FOR SALE reduced price!! We cannot show fotos - therefore please call us for more information!! 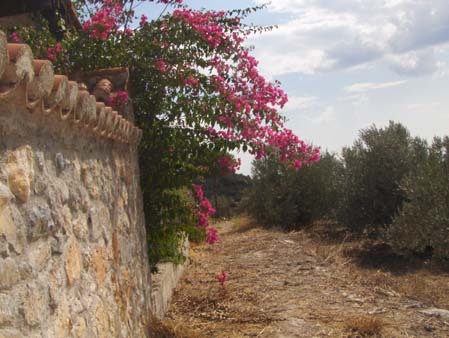 NAFPLION – surrounding: 28.000 sqm = 28 stremmata land for building in a small village in quiet area – healthy, dry climate. 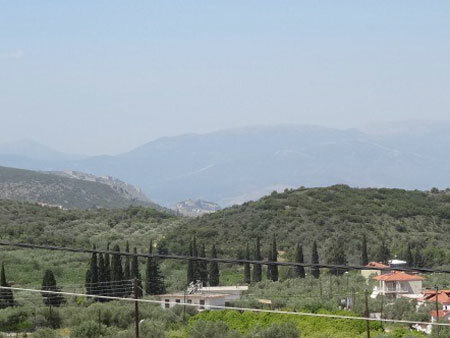 Possibility to build 200m2 in every 1000m2, could be made into a holiday paradise, a small village or a therapeutic centre. All amenities: water, power, easy access – telephone - wonderful views. 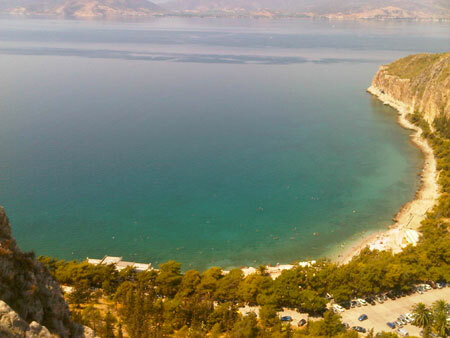 Nafplion and Argos 18 km. very near to the Athens - Patras - Kalamata motorways. Price c. E 500.000 Willing to negotiate to a mutually agreeable price. Nach Nafplion and Argos 18 km sehr nah an der Autobahn Athen sowie Kalamata. Flughafen Athen 1.4h + Patras. Wir koennen bei der Baugestaltung behilflich sein. 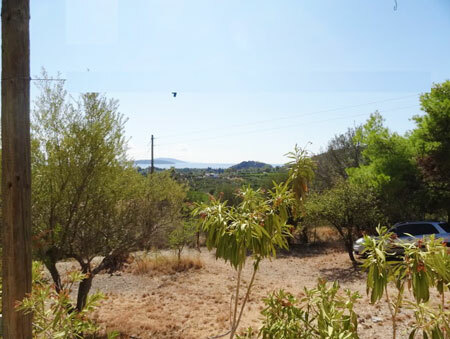 Large plot of land 8263.2sqm in an elevated position with olives fully buildable (able to build 285,20sqm + basement). 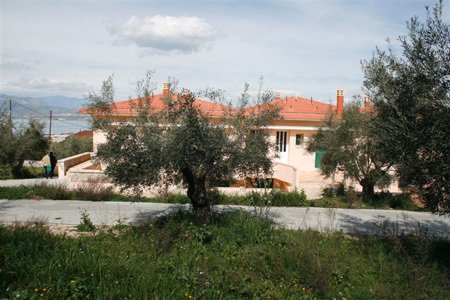 The plot is on a distinguished hillside overlooking the valley & sea. 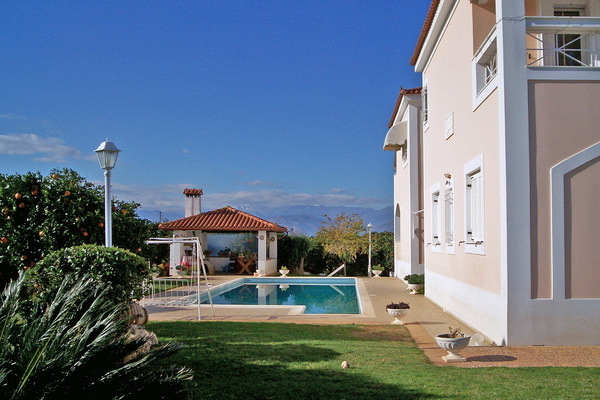 In the surrounding area there are many high class, private villas. 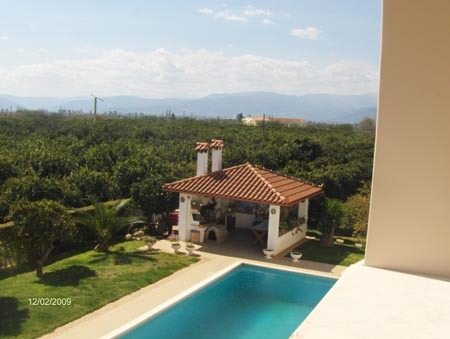 The views of the valley and the sea are breathtaking, unobstacled and the plot is just 550m from the sandy beach. 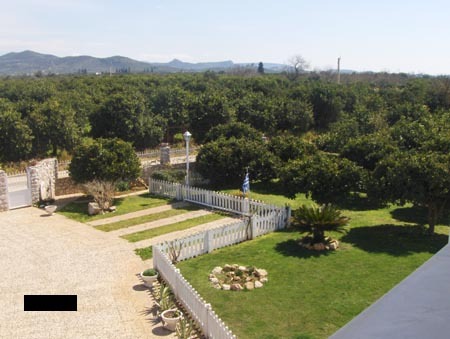 This plot faces East and the climate has ideal temperatures all the year round. 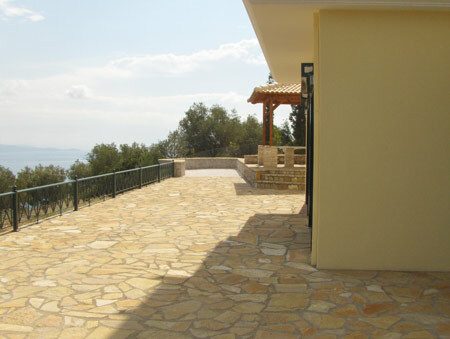 The plot has a facade of 61 - 62m on an asphalt road making it easily accessible. 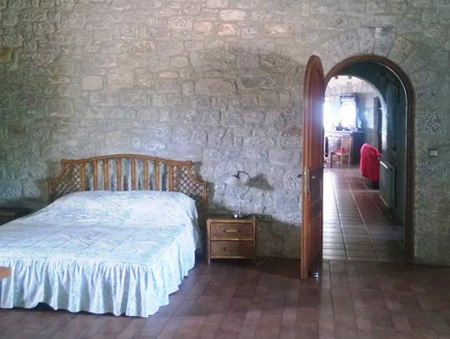 Old stone house of 140sqm (70sqm + 70sqm on two levels) with 5.000sqm land full of oranget rees. 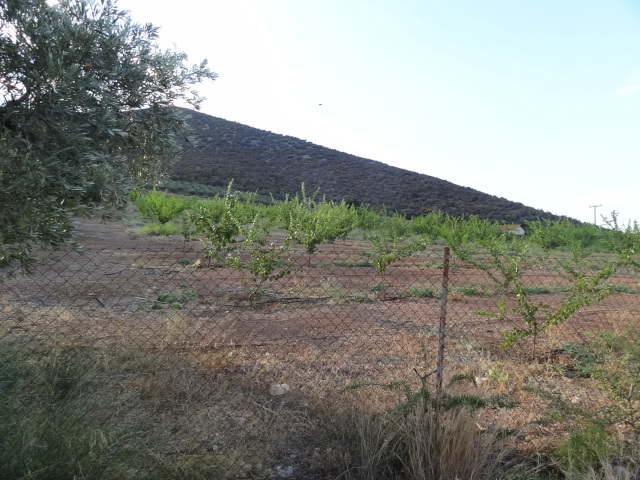 This land is in the City plan to build soon 200sqm in 500sqm plots. From Nafplion center about 5 mins by car. 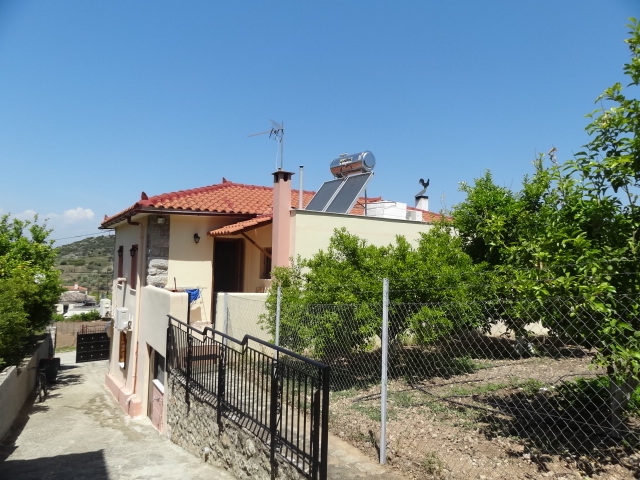 Ideal for HOTEL or BED & BREAKFAST - PENSION which Nafplion needs so urgently.....water - power. 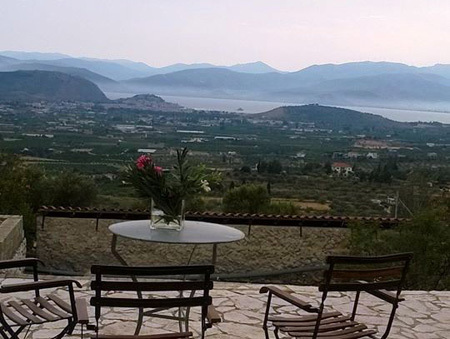 Fantastic view to Palamidi - Nafplion - sea - Harbour. To the different beaches about 10 mins by car. - from Athens Airport 1.4h - Patras 2h. 10.000 m2 Land – 400 m links von der Hauptstrasse nach Argos. Den Gund sieht man von der Hauptstrasse und ist ideal als Geschaeftsgrundstueck geeignet. 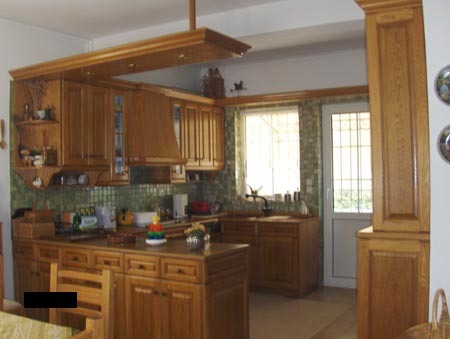 ( Als Pension - Supermarkt - Kindergarten – Sportcenter – Kindercenter – Nachtklub – Catering Service etc…….. ) Wasser – Strom – Zentralheizung. Athen 1.5h – wir sind offen fuer alles - sowie fuer Ihren Vorschlag. Οικόπεδο 10 στρεμμάτων 400 μ αριστερά από τον κεντρικό δρόμο προς Άργος. Το οικόπεδο φαίνεται από το δρόμο και είναι κατάλληλο για επαγγελματική χρήση (εργοστάσιο, μαγαζί, σούπερ μάρκετ, αθλητικό κέντρο, νυχτερινό κέντρο, χώρος δεξιώσεων κλπ) ρεύμα, νερό, κεντρική θέρμανση, αποθήκη, εντός σχεδίου.-Αθήνα 1,5h Περιμένουμε την προσφορά σας. 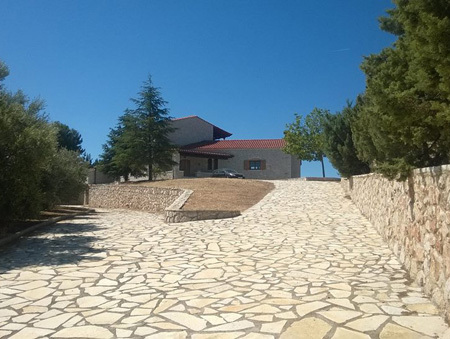 Oder der ganze Grund fuer eine grosse Villa von 345 m2 in 3.900 m2 Land? Lage: Sued – Ost – West. EU – Programm zum Aufbau von Tourismus. 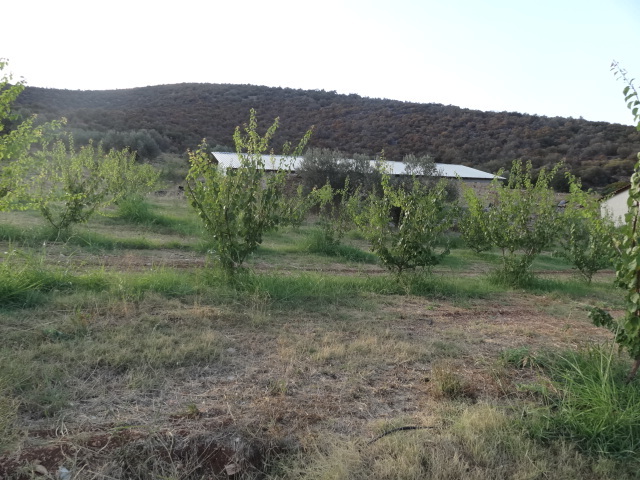 5.000 sqm land to built with 300 orange trees (5t Oranges per year) + 60 olive trees (200 lt oil) autom. watering system. 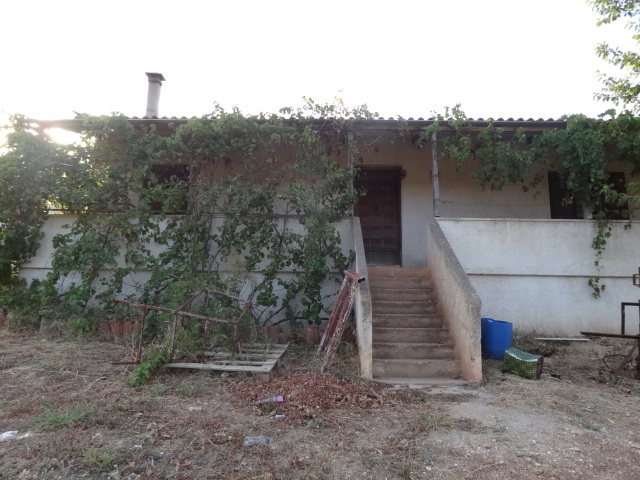 Possibility to build 150 sqm house or 3 maisonettes. from some parts sea view. To the beach 5 min. From Athens Airport 2h. 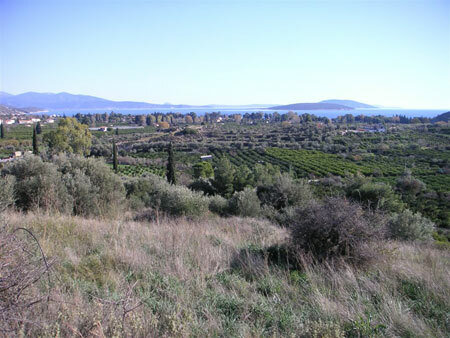 plot to built, 6.200 sqm with orange trees, view over Nafplion and the sea, surrounded with a fence 400 orange trees autom. watering - this year 33 tonnes of oranges. 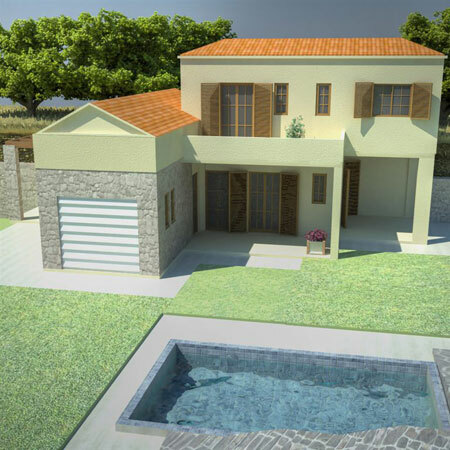 the place is in a small village and there is the possibility to build 500sqm = for 11 - 12 houses. From Nafplion 25 mins by car. from Athens airport 2h from Patras 2 h.